Our Refer and Earn program is a way for authors to invite others to Prolific Works. The inviting author will provide a coupon code. 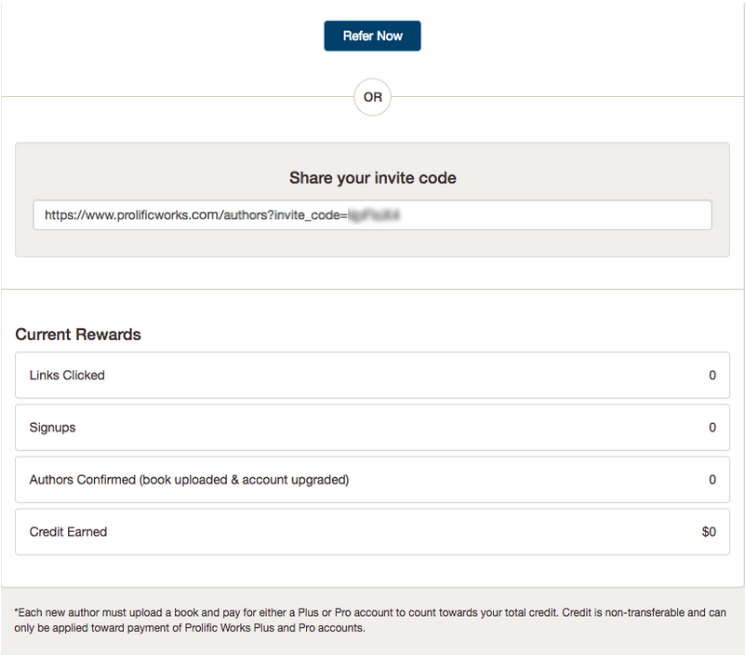 They will then receive $20 credit if a new author creates an account using this code. Go to the white secondary nav bar towards the top of the page and click on "Settings". 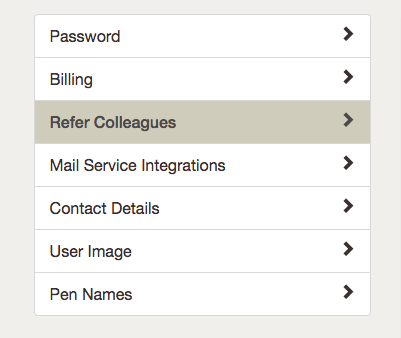 Select "Refer Colleagues" from the "Settings" menu. Scroll down. At the bottom of the page you'll see this table, which will show you your referral link as well as the state of your referrals. Share this link with potential new authors, and monitor how your referrals are going on this page. In order to receive the credit, the new author must upload a book and upgrade their account using the link they've received.